This week we celebrate Chinese New Year, and the food is one of the key ingredients in celebrating this festivity! Chinese New Year food is the center of bringing family together and each dish symbolizes prosperity for the new year, so we decided to dig into what some dishes represent! The chinese word for fish (yú “鱼”) sounds like the word “余” which means surplus or abundance. In fact there is a chinese saying of “年年有鱼” which loosely translates to every year have fish, or every year have abundance (“年年有余”). Fish is typically served whole at the end of the meal to symbolise surplus at the end of the year. Oranges are a very common food associated to Chinese New Year. This is because oranges are a popular symbol of good luck due to the similarity between the Chinese words for orange (“橙”) and success (“成”). Dumplings are eaten for their shape, which resembles a gold ingot or money packets. These chinese dumplings (or also known as jiǎozi) are traditionally eaten on the fifth day of Chinese New Year, which also happens to be the birthday of Caishen, the Chinese God of Wealth. The word for shrimp in Chinese is pronounced “ha” (虾), which sounds just like laughter. Therefore, shrimp is often served to symbolise a happy year ahead. Also known as longevity noodles, these long noodles made of either rice, egg or wheat dough represent, well, longevity. They are served uncut to symbolise a wish for long life. Dishes with brocolli or cauliflower are often served because of its stalks. The multiple stalks each symbolise a blossoming new year. These sticky rice cakes can be enjoyed all year round, but they are especially popular during the Chinese New Year due to the name. Nián gāo literally translates to “year cake” from Chinese to English, and gāo (“糕”) is a homophone with “高” which means higher or elevated – similar to the phrase “higher each year”. Consuming this confection is believed to bring you more luck in the coming new year. Also known as lou hei, this festive dish originated from Malaysia! It is also eaten in Singapore, Indonesia and is gaining popularity in China. This colourful raw salad consists of varying ingredients like carrots, daikon, red cabbage, raw fish, peanuts, sesame seeds and is dressed with plum sauce and sesame oil. Loosely translated to “prosperity toss”, that is exactly how the dish is enjoyed – the ingredients are layed out nicely on a large serving dish and everyone gathers around with their chopsticks to toss the salad, ushering in good wishes for the new year. But of course with every festive meal, remember to eat up all the good food and not let anything go to waste! Happy New Year! It’s finally 2018! We thought we would welcome the new year by looking at how other parts of the world celebrate it… with food, of course. This tradition dates back to the 17th century, and these long buckwheat noodles symbolize longevity and prosperity. In Japanese households, families believe that consuming a whole bowl of soba at midnight of New Year’s Eve would bring them good luck. 12 grapes to be exact. At the stroke of midnight, the people of Spain eat a grape with every ring of the clock bell to bring luck with every coming month of the new year. This custom began in the 20th century, thought up by grape producers in the country and now is a common tradition in most Spanish-speaking nations. Herring is not only an abundant staple in Europe, the silver fish is thought to symbolize good fortune. Therefore, people believe that eating a plate of pickled herring at midnight would bring a bountiful year ahead. In South Korea, celebrating the New Year is like celebrating everybody’s birthday. To usher in the new year, Koreans eat a bowl of tteokguk, a meat and vegetable soup with rice cakes and once the soup is finished, everyone grows another year older together. Some believe white rice cakes were used for a clean, fresh new start of the year to come while others believe that it was to wish for affluence as the round shape of the rice cake resembles that of a coin. Italians feast on a dish called cotechino e lenticchie on New Year’s Day, which is a dish of sausage and lentils, to usher in a new year of prosperity. The lentils swell when they are cooked, and are believed to represent coins or wealth. Kransekage (or Kransekake in Norwegian) means wreath cake and is a dessert eaten to celebrate the New Year. It is a tall tower of many concentric rings of cake layered on top of one another. The cake is made out of marzipan, decorated with flags and other decorations and has a bottle of wine or aquavit in the center. In Mexico, a sweet break called rosca de reyes which is baked with either a coin or charm in it is made for good luck. It is believed that whoever eats the slice with the hidden coin or charm will receive good luck in the upcoming year. In America, they keep their traditions simple. Most Americans pop open a bottle of champagne to welcome in the New Year. Almost a month ago we celebrated the United Nations World Food Day. World Food Day raises awareness on sustainable food production and challenges society to reduce food waste. Food waste is a growing global phenomenon that continues to harm the environment. Grub Cycle is a part of the global movement to reduce and combat food waste, not only to save the environment but also to benefit the consumer by saving you money. As such, we are continually inspired by creative and innovative ways that organisations around the globe are using to tackle food waste. 40% of fruits and vegetables are wasted simply because of the way it looks. Generations of marketing have led us to believe that supposedly defunct fruits and vegetables are not desirable nor safe to consume. One French Supermarket, Intermarché , created has created a campaign to debunk this myth and celebrate these food items. The “Inglorious” campaign represents a shift in how we can use marketing as a tool to influence consumer behaviour to curb food waste. 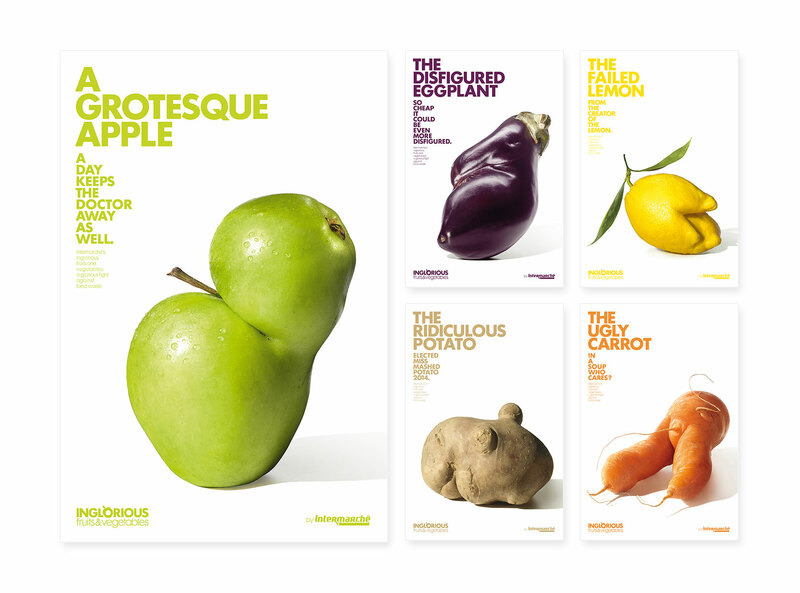 Intermarché took their food waste efforts one step further by providing 30% off the so-called “ugly” fruits and vegetables. Ever come back from the supermarket with food you already had in your fridge? 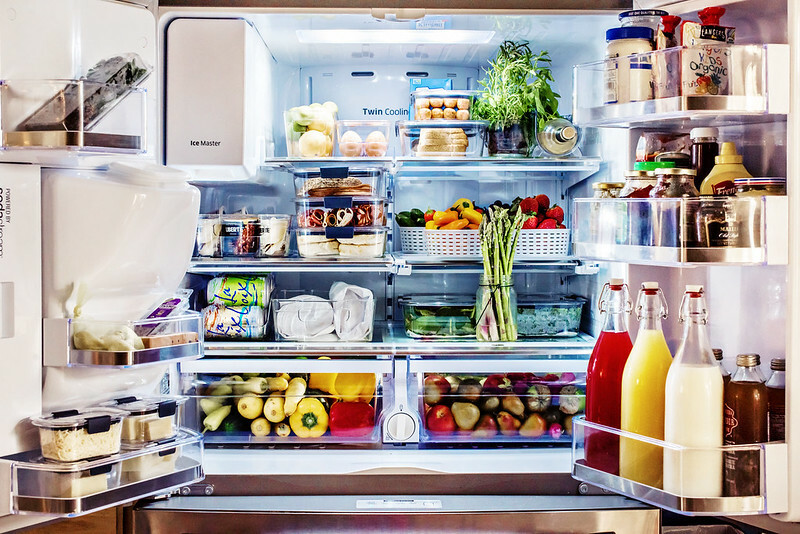 Well, Bosch developed a smart fridge with camera technology that snaps pictures of the content of your fridge every time the door is closed. 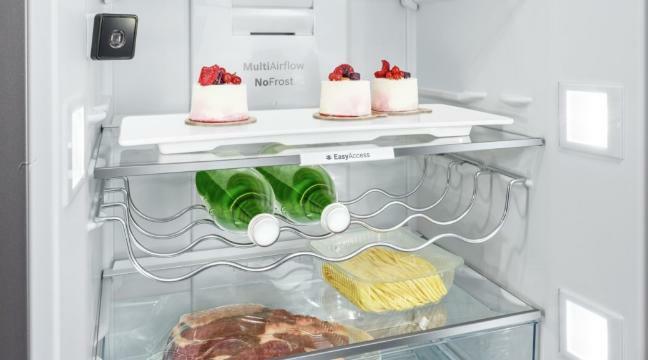 The fridge #selfies are linked to an app to encourage customers not to double up on items they already have. In the United Kingdom(UK) a quarter of households waste up to £235 of food every year due to “doubling up” on groceries. That’s equivalent to RM1,317! A leading UK supermarket, Sainsbury’s, gave 20 families the smart fridge and are currently tracking their food waste behaviour as result of this innovative technology. Founded in Coimbatore, Tamil Nadu, No Food Waste is an NGO that donates excess food to the needy. But they aren’t your average soup kitchen NGO, they take it another step further with their mobile app that allows for crowd sourcing of data to identify the hunger spots in India, and for people to submit requests for donation of excess food. Based in England, the Waste and Resources Action Programme (WRAP) started the Love Food Hate Waste (LFHW) program to promote awareness and food reduction. Love Food Hate Waste has its own dedicated consumer facing website containing detailed ideas to help individuals, communities and organisations reduce food waste as well as the LFHW partner website containing free materials, templates, and resources for local authorities. So far, they’re saving £3.3 billion a year compared with 2007, not to mention saving 4.4 million tonnes of CO2 – that’s like taking 1.8 million cars off the road! Plus, they made these quirky posters that we love. Okay, admittedly we are very biased with our third favourite but lets us tell you why! Here at Grub Cycle Malaysia we have just launched our first mobile supermarket in Bukit Lanchong. 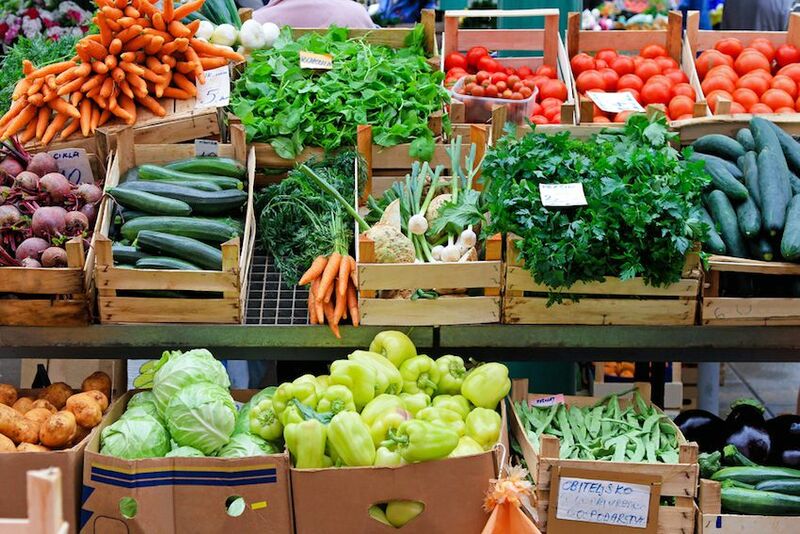 #GrubMobile is a new way we are curbing food waste by acquiring fresh fruits and vegetables that would be thrown out because of standard supermarket policy. #GrubMobile is deeply invested in the idea of meeting the consumer where they are. Given the response and interest to our products further out of Klang Valley region we thought we’d bring an alternative food waste option closer to local communities. To date, we have had 3 sales and one workshop on how to reduce food waste and definitely much more to come! Keep your eyes peeled for our next mobile sale and follow our #GrubMobile journey on social media! Expiration dates printed on the packaging of foods at the supermarket are not always accurate representations of a food’s shelf life. These labels actually cause millions of pounds of food to be wasted every year as not many people actually understand what expiration dates really mean. Like many other food products, cereals have a shelf life beyond its expiration date printed on their boxes. If stored properly – that is, in a cool, dry place – cereal can last for months after the sell-by date. If you’re at the store and you see your favourite cereal brand on sale, make sure you stock up fast! It might be a bit stale, but it can be eaten for at least another six more months. Check out Grub Cycle’s selection of cereals here! Ever seen a whitish coating on the surface of your chocolate and think it’s expired? The white film is actually called “chocolate bloom” and it can be safe to consume. Just make sure that the chocolates are stored in a cool place! Check out our selection of chocolates (such as Kit Kat, M&M’s and Ferrero Rocher) here! Have you ever wondered why people in apocalypse movies have their food storage filled with canned goods? It’s because canned goods don’t expire for year after the expiration date! Since oxygen doesn’t get into the cans, bacteria can’t grow in them. For best results, they should probably be kept in a cooler, dryer and darker part of your kitchen. Just in case you need to stock up.. Here’s Ayamas Kitchen Sardines in Tomato Sauce for only RM6.00 that expires on 16-Jun-2019! Did you know that most soft drinks have a best before rather than an expiry date printed on them? That’s because carbonated drinks can be consumed even after this date as they are formulated with additives in order to last longer. The taste might not be of peak quality (hence, the ‘best before’ date) but they’re still consumable if stored properly! Food scientists estimate that those with regular sugar content can safely be consumed up to 6 months after their best before date whilst diet soda can last up to 4 months. Feeling thirsty? Check out what canned drinks we have for you here! Food stored in salt and acidic liquid, such as vinegar or brine, will last longer than its due date. If you’re a fan of foods with strong taste, we recommend our Grub Cycle Homemade Cabbage Kimchi 205g or our Grub Cycle Homemade Cucumber Pickle 205g – both for RM9.00 each!